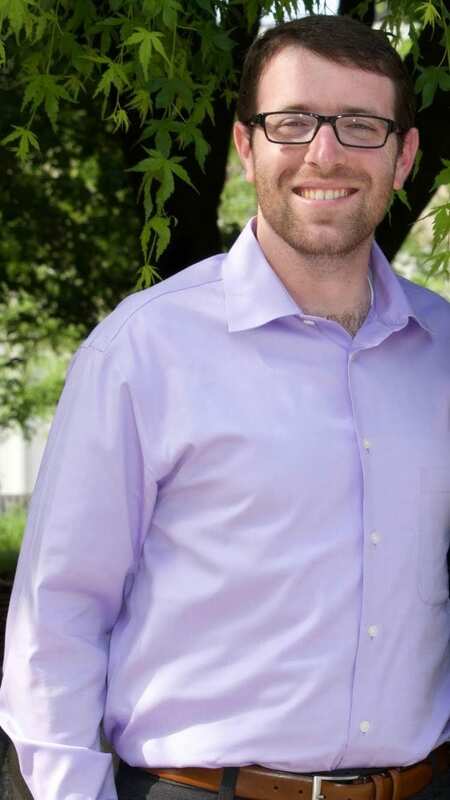 Adi Yom-Tov is far from what you would call an average college student, so he and Brandywine were a perfect match. After high school, Adi spent a few years working in the U.S. and then serving in the Israeli military until 2014. He was looking to go back to school, and a family friend convinced him that Penn State Brandywine was worth giving a try. “He wasn’t wrong,” Adi said. 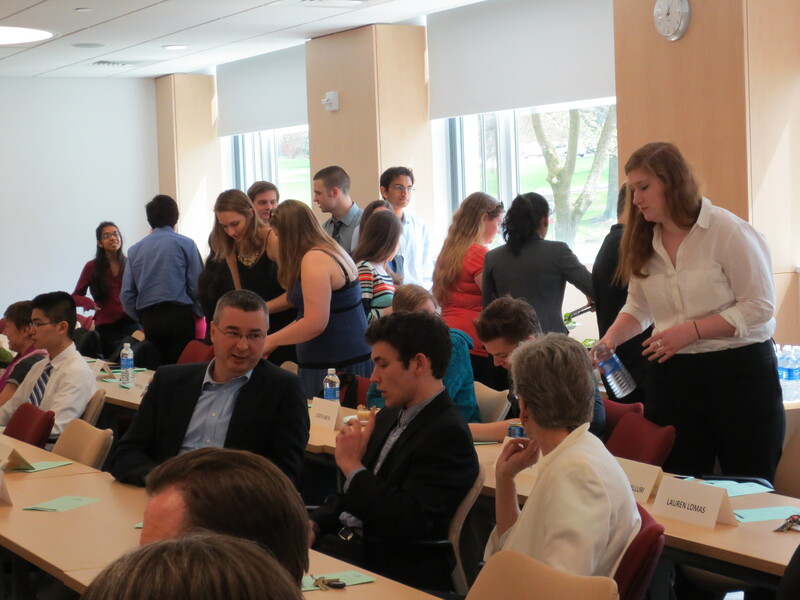 From the get-go, Adi was taken by the variety of different programming and networking opportunities Penn State offers its students. Penn State’s adult-learner program, which does not require an SAT or ACT score, made the transition even easier for Adi, something he’ll always be grateful for. Brandywine’s unique size and location allowed Adi to pursue his Bachelor’s degree in business, while also working full-time when he needed to. Even in conjunction with his personal and professional life outside of school, Adi continued to find research opportunities that allowed him to work with his professors – not for them. Joining the Cooper’s honors program has only served to enhance his experience at Brandywine. Not only has he had the experience of even smaller class sizes, but he also has had multiple opportunities for individualized research with his professors. Outside of academics, he has made great connections with his honors peers, getting an exclusive glimpse at what they’re doing now – and what they might achieve in the future. After Brandywine, Adi hopes to work in market research, continuing to pursue his interest in behavioral economics in graduate school and beyond. Fourth time’s the charm, especially for Victor Ficarra. Victor was always interested in attending Penn State, but it wasn’t until he received his final decisions and a few visits to Brandywine later –four in the span of two months– that he finalized his decision. Victor got involved from the get-go: he plays on the varsity tennis team, is a member of the Schreyer’s honors program, and has traveled to Sicily and Malta with Penn State’s Study Abroad program. These are just some of the things he likes about Brandywine. Along with being close to home for his first two years, he is making valuable connections with the faculty and staff on campus. “The faculty members have been extremely helpful to me, whether it be for support for their course, helping me with my Schreyer application, helping me select courses, or even aiding me as outlets to vent out frustration at times,” he said. The summer before his senior year of high school, Victor shadowed at Sikorsky Helicopters, cementing his interest in Aerospace Engineering. 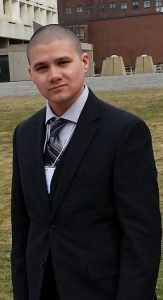 He initially applied to Penn State as a finance major, but after finding out how highly ranked Penn State’s Aerospace Engineering program is, he changed it, along with declaring business and international studies minors (it didn’t hurt that Penn State is the only university in Pennsylvania that offers an Aerospace Engineering major, either). Joining Schreyer’s was a no-brainer for Victor, and he shows no signs of regretting it any time soon. In just his first two years at Brandywine, he earned a travel grant to film a promotional video for Brandywine Global Programs and has spoken at the fall honors symposium about a research paper he completed for one of his honors classes. Not being content to just go along for the ride, though, he co-created the Honors Student Association, a club on campus that gives honors students the chance to form even stronger connections outside of class by planning events and fundraisers. At the end of his second year at Brandywine, he’ll be heading up to University Park to finish his degree. That doesn’t mean he’ll leave all of Brandywine behind, though: along with completing his Schreyer’s thesis, he hopes to join the tennis and volleyball teams. MEDIA, Pa. — When Maddie Malfara came to Penn State Brandywine she was a biomedical engineering major who planned to transfer to University Park after two years. Now as a junior, the Schreyer Honors scholar plans to stay put at Brandywine. Malfara switched her major to biology and is excelling in her field. In high school, the biology classes Malfara took did not spark her interest, but an overall love of science brought her to an initial interest in engineering. Yet when she got to Brandywine and registered in biology courses, the more advanced and intriguing content changed her opinion of the subject. She soon switched her major to Biology with a vertebrate physiology option. Malfara began her research experience outside of the classroom by working in the Brandywine science labs as an assistant to the laboratory director. She spent this time putting out equipment for labs, learning how to make stock solutions of chemicals, and developing essential skills and laboratory methods. After a year of working as an assistant, Malfara was craving a research-based opportunity and reached out to Brandywine biology professor, Dr. Megan Povelones, who agreed to let Malfara work in her lab. 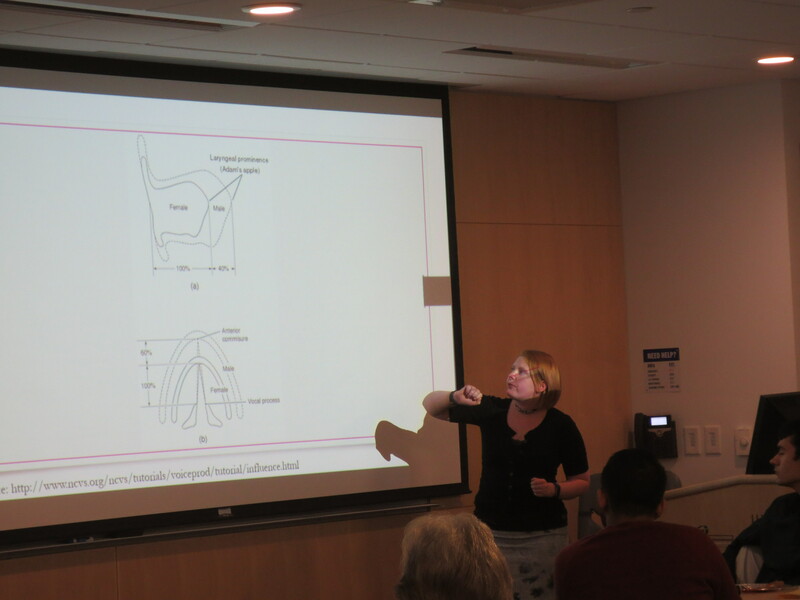 Projects that Malfara has worked on include mitochondrial dynamics such as fusion and fission in the model organisms T. brucei and C. fasciculata. Malfara has an interest in how the content she is studying in classes relates to real world problems and diseases. Because she plans to attend medical school, she feels it is crucial for her to understand how diseases work on a cellular level. Malfara states that being an honors scholar has offered her many opportunities. The honors course offerings each semester have pushed her to enroll in classes she wouldn’t necessarily think to take. Malfara has also taken advantage of the honors option opportunity. This allowed her to work on interesting projects with the science faculty that would otherwise be out of reach. Malfara believes that honors courses and options help students in finding their niche. 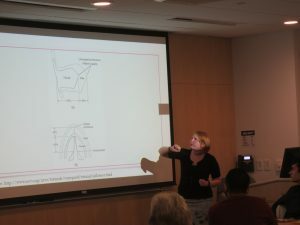 “It allows the students to have meaningful relationships with professors, pushes them to do research, and ultimately find out what they might want to do for the rest of their lives,” she said. 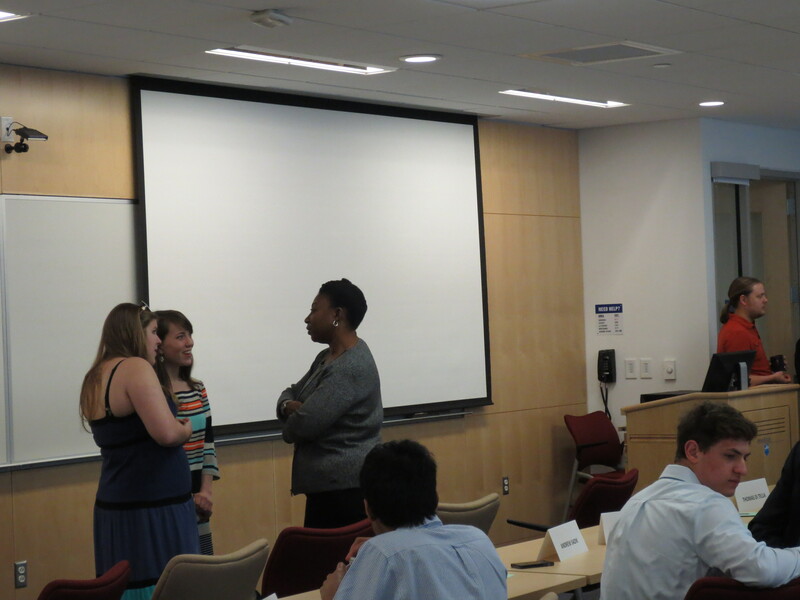 Malfara credits much of her success and the opportunities she has been given to the Brandywine science faculty, who have always been supportive of her education and future career. As her senior year approaches, Malfara has been working with Dr. Povelones to hone in on a project for her honors thesis. Outside of the lab, Malfara is the secretary for the Lion Ambassadors. She has played on the Brandywine softball team since her freshman year, and volunteers as a coach for the recreational softball teams in her community. Malfara plans to continue to work in Dr. Povelones’s lab until she graduates. She aims to excel in the classes she has left and throw her energy into her honors thesis. Malfara will graduate from Penn State Brandywine in Spring 2019. She plans to attend medical school. MEDIA, Pa. — Joseph Coyle is a freshman engineering major at Penn State Brandywine. As a Jane E. Cooper honors scholar, Coyle used his first semester as a college student to help establish a student-led club, the Honors Student Association (HSA). Coyle is a member of the club’s executive board, and serves as Vice President. He attended high school with the HSA’s President, Victor Ficarra. 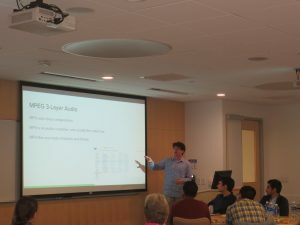 The two saw an opening to give the honors program and its students a new point of connection for social and networking opportunities. The HSA held their first meeting this past September. Coyle explained that for the first month the club mainly focused on gaining members. While numbers were initially low, they now have nearly 35 honors students involved in the HSA. Coyle and his fellow board members aim to use the HSA as a way to support outings and events for the honors student community. He recognizes that while honors courses allow for close communication among peers, building friendships outside of the classroom is often easier when a group of students has something to work towards. Coyle and the HSA recently held a Krispy Kreme fundraiser to help supplement the expenses for an end-of-the-semester event they hope to hold. Coyle said the HSA will continue its fundraising efforts and plans to hold a dodgeball tournament on campus. Apart from the HSA, Coyle plays on the Brandywine soccer team. He chose to major in engineering after his high school courses sparked an interest in the subject. “I took a lot of engineering classes in high school, and every time I took one I found it increasingly more interesting,” he said. Coyle plans to take advantage of Penn State’s two and two program and complete his degree at University Park. His goal for the remainder of his college career is to gain as much experience as possible both in and out of the classroom. Coyle will continue to serve as Vice President of the HSA. He will transfer to University Park in fall 2019. MEDIA, Pa. — Adam Bivens—a senior English major and Schreyer scholar at Penn State Brandywine—has spent the last eight months tearing through countless texts and undergoing extensive research for his honors thesis. He aims to explore how worker movements are depicted in novels of 19th century England. Bivens has been analyzing the relationship between how worker movements were viewed by the middle class, and how those perceptions are reflected in the literature of the era. He has been focusing on influential industrial novels and newspaper articles, noting relevant patterns as he evaluates. Bivens admits that the thesis process seemed daunting at first. However, being an English major has offered him research opportunities and access to the faculty of the Brandywine English department. Bivens has been working with professors who specialize in the time period his thesis explores. They have not only offered him advice on useful texts and research methods, but have also agreed to set time aside to guide him through the entire process. Bivens feels that the honors thesis forces students to utilize the research, writing, and organizational skills they have acquired throughout their undergraduate career. His experience as a Schreyer scholar, while sometimes stressful and intimidating, is what has allowed him to grow both professionally and personally. He fondly remembers his freshman year honors classes, and befriending people that would become his sources of inspiration and knowledge. Bivens explains that the program pushes students and forces them to look at concepts in unique ways. Bivens is an open advocate for English majors in the United States. He wants to educate people on the versatility and complexity of the degree that is often mistaken for nothing more than a ticket to becoming a teacher, or an excuse to be a bookworm for four years. “The greatest tragedy in this world is telling children they can do whatever they want when they grow up only to trash their passions when they reach a certain age because their interests are not deemed as ‘profitable’ or worthwhile under the current economic status quo,” he said. After graduation he plans to continue to educate people on the importance of literature, art, music, and history in our society. Bivens is set to graduate in spring 2018 after spending four years at Penn State Brandywine. Each semester, our Honors community comes together to celebrate the achievements of our scholars and the faculty who have advised and mentored them in their research, coursework, and service projects. 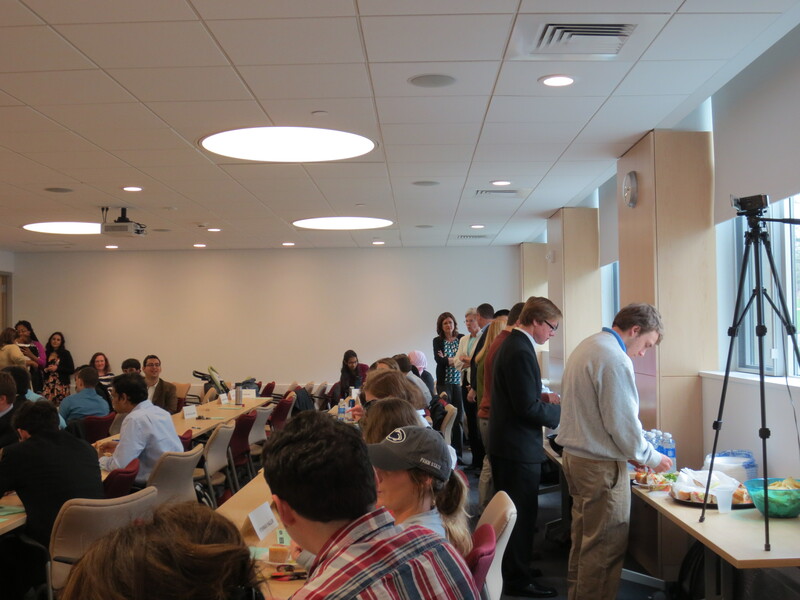 This tradition, which we call the Socratic Symposium, is an opportunity for us to break bread together while learning about some of the latest theses, Honors courses, and independent studies. 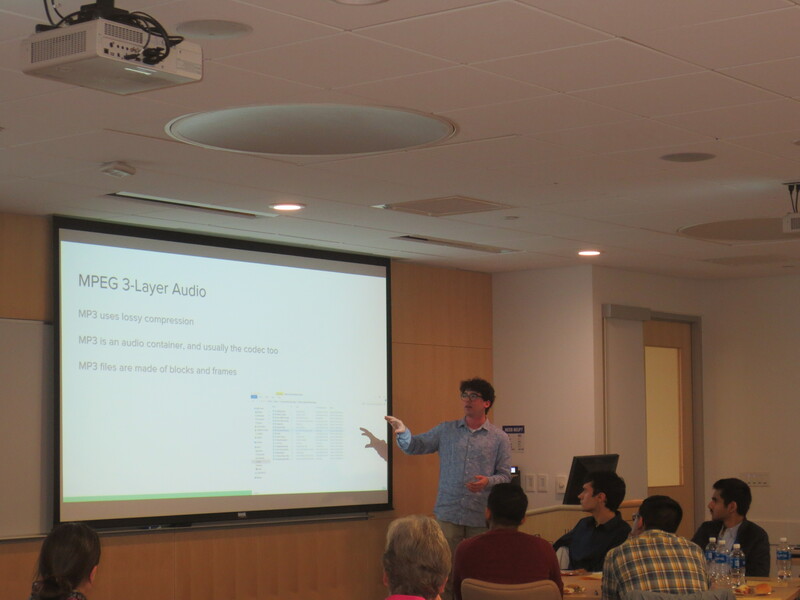 Schmid’s thesis, Spectrums: Vocal Pitch Characteristics of Those Outside the Gender Binary, was supervised by Dr. Evan Bradley, Psycholinguistics. Another highlight of this Socratic Symposium was the sixth annual Arnold A. Markley Honors Faculty Award, given to Dr. Kathleen Kennedy, Associate Professor of English. Named for the late Dr. Markley, former Honors Coordinator and beloved Professor of English, this award is given in recognition of a faculty member whose instruction and support have been instrumental in students’ progress in Honors courses or independent research. To all who attended and contributed to the Spring 2017 Socratic Symposium, thank you for all of your hard work and creative contributions to our distinguished Honors community. This semester, we have two graduating seniors, Ebony Ford and Rebecca Slomowitz. 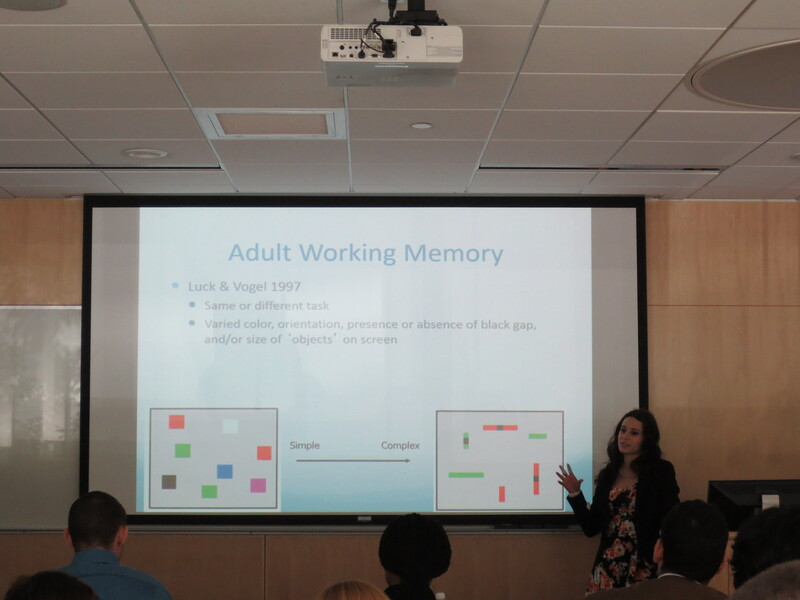 Both defended their theses in psychology at the Spring 2015 Socratic Symposium on Tuesday, April 21st. 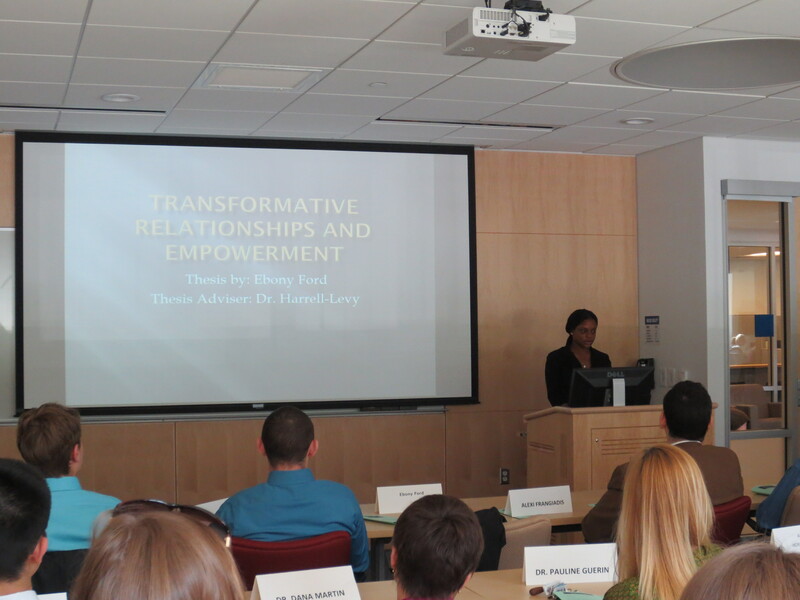 Ford presented a summary of her thesis, Transformative Relationships and Empowerment, an analysis of the long-lasting, transformative impacts of mentoring relationships. Inspired by the influence of her own mentor in high school, she conducted interviews and surveys to examine the extent to which participants felt that mentoring relationships had given them a sense of empowerment. 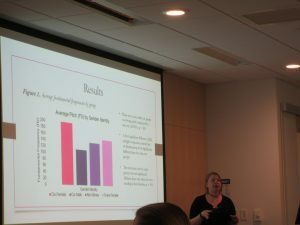 Slomowitz was next to defend her thesis, Remember What? Working Memory Capabilities in Infancy. Based on months of lab research with 12 to 14-month-old infants, this study explores the possibility of a difference between infants’ ability to remember objects versus their ability to remember people. 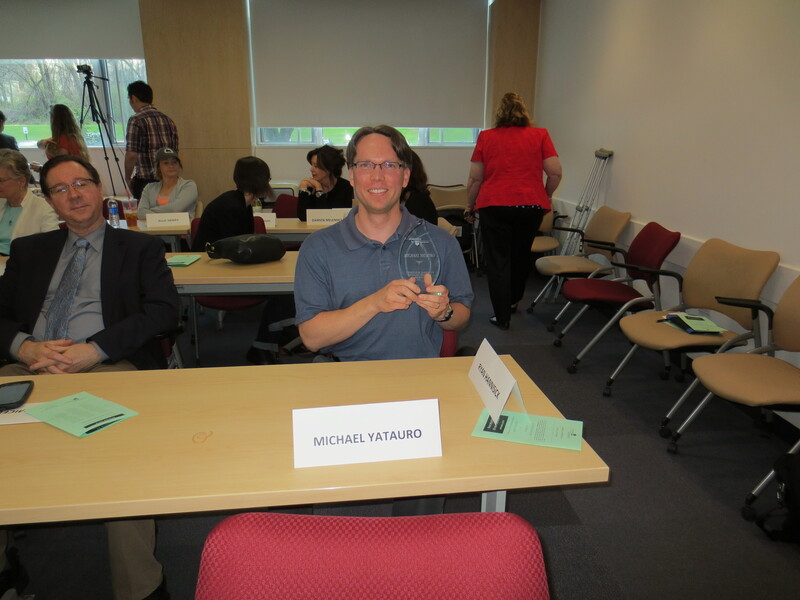 Another highlight of this Socratic Symposium was the fourth annual Arnold A. Markley Honors Faculty Award, given to Dr. Michael Yatauro, Assistant Professor of Mathematics. Named for the late Dr. Markley, former Honors Coordinator and beloved Professor of English, this award is given in recognition of a faculty member whose instruction and support have been instrumental in students’ progress in Honors courses or independent research. 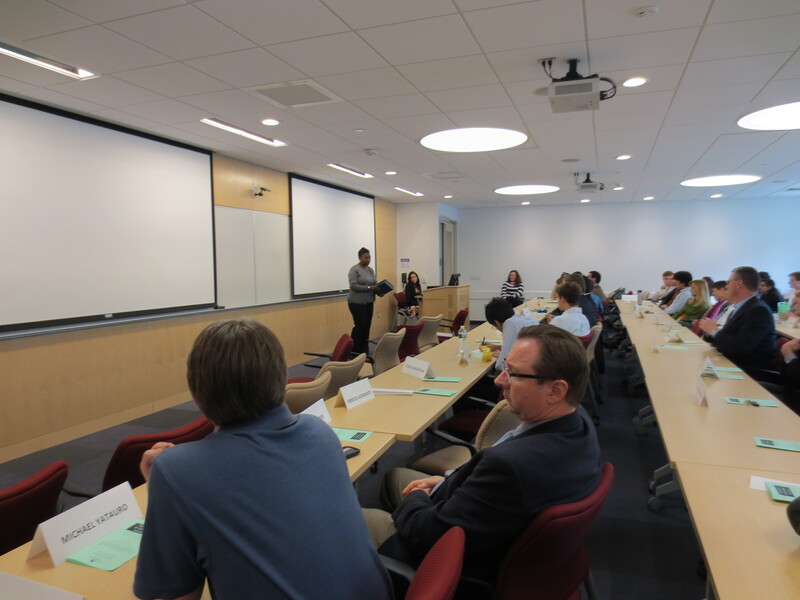 To all who attended and contributed to the Spring 2015 Socratic Symposium, thank you for all of your hard work and creative contributions to our distinguished Honors community. Dr. Lightfoot (left), Director of Academic Affairs, watches proudly as Ebony Ford strikes the thesis gong. 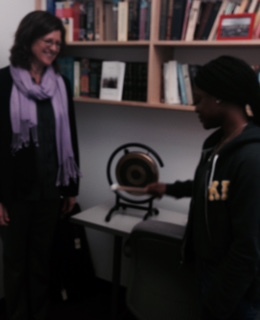 Two Schreyer Scholars rang the Schreyer gong this week, signifying the completion of their Honors Theses. Ebony Ford and Rebecca Slomowitz, both psychology majors at Penn State Brandywine, submitted their theses, which will be defended next Tuesday at the Socratic Symposium. 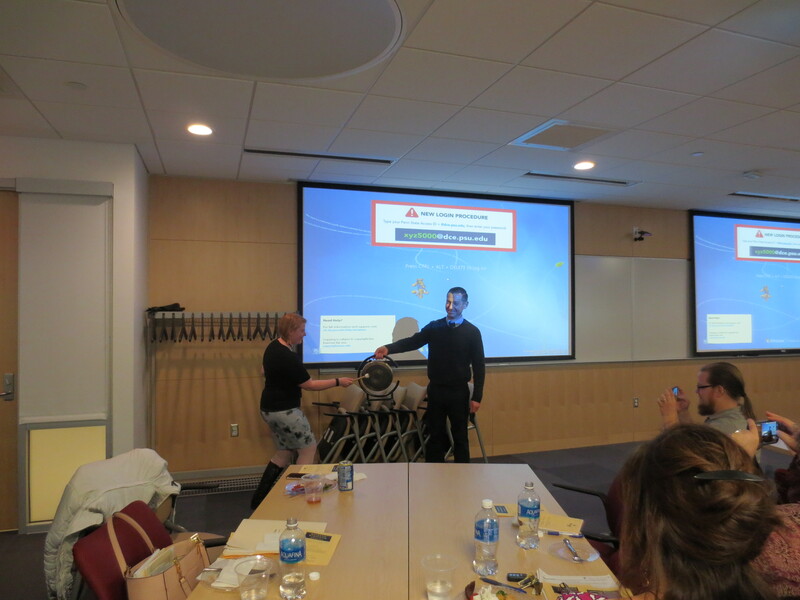 The thesis gong is a Schreyer tradition that dates back to 1995, when students who completed their theses would ring a bell to celebrate the occasion. Now more appropriately marked by the striking of a small gong, the submission of an Honors Thesis is the culmination of a great deal of hard work and perseverance. We congratulate Ebony and Rebecca on their significant accomplishments! Freshman Honors Scholar Adam Bivens was among six students who received the President’s Freshman Award on Tuesday, March 24th, at Brandywine’s annual Academic Recognition Ceremony. This award is presented to freshmen who have earned a 4.00 cumulative GPA based on at least 12 credits completed by the end of the fall semester. Rebecca Slomowitz, who also earned the Undergraduate Student Research Award, was one of four students to receive the Evan Pugh Scholar Award. Named after Penn State’s first president, this award is presented to juniors and seniors who are in the upper 0.5 percent of their classes and have completed at least 48 graded credits by the end of the fall term. We wish these scholars continued success and congratulations for all of their accomplishments. Schreyer Scholar Rebecca Slomowitz received the Undergraduate Student Research Award at Brandywine’s annual Academic Recognition Ceremony on Tuesday evening, March 24th. The senior psychology major was recognized for her outstanding research on infant cognitive development and working memory. 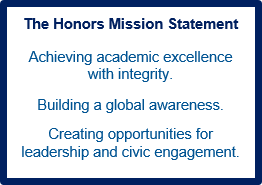 In addition to the Academic Achievement Award, which is given to all students with a GPA of 3.5 or higher each semester, this honor is awarded each year to a Brandywine student whose research efforts demonstrate an exceptional level of academic integrity. Slomowitz, who will defend her thesis later this spring, is already preparing for the next big step in her career. This past week, she was also accepted for a Clinical Research Assistant position at the Children’s Hospital of Philadelphia (CHOP). She will be studying within the Infant Brain Imaging Study (IBIS) at the Center for Autism Research (CAR), where researchers will be longitudinally following infants who are at high risk for developing autism. We wish luck and success to Becca as she completes her degree and begins this prestigious research assistantship.